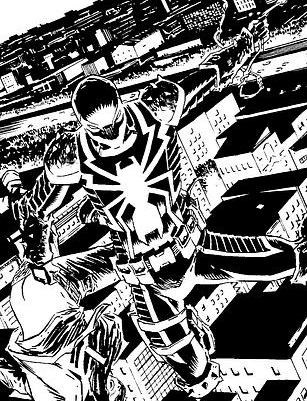 Cullen Bunn: Now, coming out of "Minimum Carnage," we've got Venom moving to Philadelphia, and it really does, to me, feel like a fresh start on the character. This three-issue arc — #28, #29 and #30 — in a lot of ways, it feels like a brand-new Venom. He actually makes the move in #31, and there are new supporting cast members, Flash has a new approach to being a hero, and [we] introduce some new threats that I think will really shake things up. 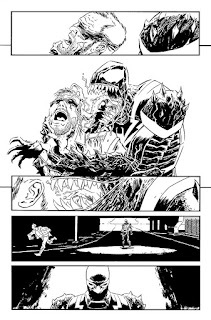 Venom fans — and I'm talking about the die-hard Venom fans, and the die-hard symbiote fans — are going to go crazy, especially starting with #31, and get some things that they have been clamoring for. Nrama: Is one of those things the return of Toxin? Bunn: It is. You'll start getting glimpses of him before issue #31, but in #31, Toxin returns. There are a lot of people who say, "Eddie Brock should be the only Venom. He's the only person worthy of being Venom." My goal, as lofty as it may be, is, I really want people to forget about Eddie as Venom. 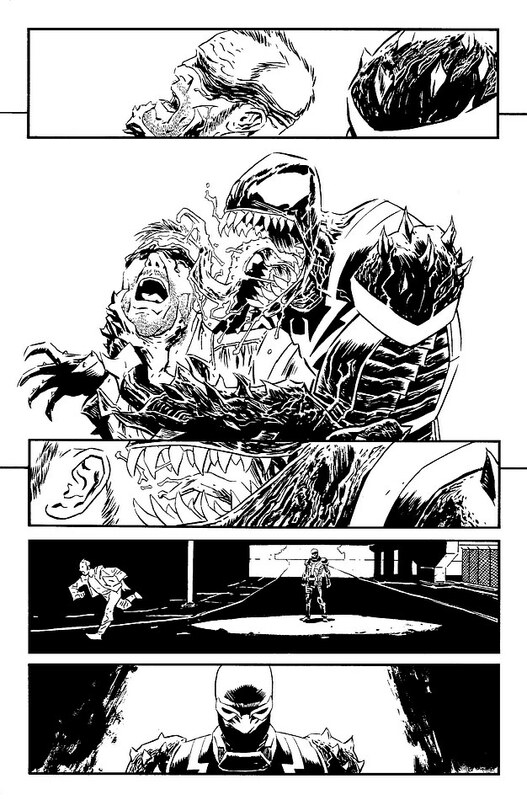 What [artist] Declan [Shalvey] and I are trying to do is, once we tell this story, I want people to associate Eddie Brock with Toxin. It's a lofty goal, because he has such a big history with Venom, but a lot of people really liked when he was Anti-Venom. We want to make Toxin a viable, interesting, dynamic character on his own — the Eddie/Toxin combo, or "Broxin" as I've seen him referred. [Laughs.] Our goal is to really make people love and hate and fear Toxin, and Eddie Brock. Nrama: So it sounds like Eddie Brock will be pretty solidly a villain this time around, maybe more so than he has in the past? 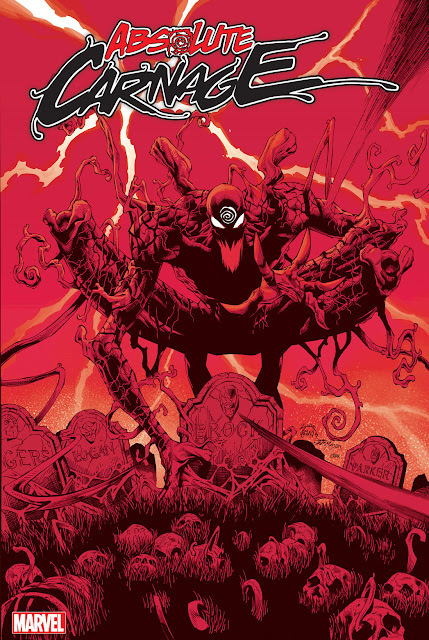 Bunn: When Eddie and Toxin were bonded in "Savage Six," he was almost like this mindless killing machine. That is not the Toxin you are going to see. I don't want to say he's solidly a villain, but for Venom, at least, he is solidly an antagonist. The one thing that Eddie and Toxin have in common is that they both hate Venom — both the symbiote and the man. That solidifies their partnership to some degree. Nrama: Valkyrie has a budding romance with Flash Thompson, and you'll be writing her in Fearless Defenders. So will she remain a part of Venom's life going forward? Bunn: She's definitely a big player in the current arc, #28-#30. She appears in every issue there. I kind of lucked out. A lot of times when you have romances with two characters, you have one writer writing one of the characters in the book, and another writer writing another character in the book, and sometimes the puzzle pieces don't seem to fit. I have gotten into a situation where I'm writing the main books for both of these two characters, so I get to play both sides of that relationship. You'll see Venom in Fearless Defenders; you'll see Valkyrie in Venom — not every issue or every arc, but there will be a presence in those two books. 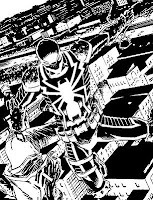 Nrama: To wrap up, with the new Superior Spider-Man era starting, can readers expect to see some interaction between the new Spidey and Venom at some point relatively soon? Bunn: I would say that it's a certainty. Well it looks as if Cullen is giving us old time Venom fans what we want with the return of Brock and still keeping the newer generation of Venom fans happy. 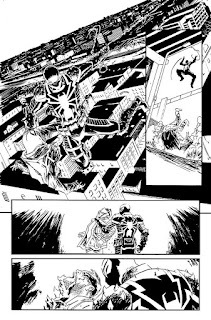 Are you guys ready for a great Venom/Toxin filled 2013? I AM!